Note: This article is a supplement to my article Memories of Seeing Star Wars, on StarWars.com that is part of the week long Star Wars 40th Anniversary Celebration. Unfortunately, I could not include everyone that provided me with their story for the StarWars.com article. Therefore, this article provides some of these additional stories. I really want to thank everyone who provided me with their stories of seeing Star Wars in 1977! 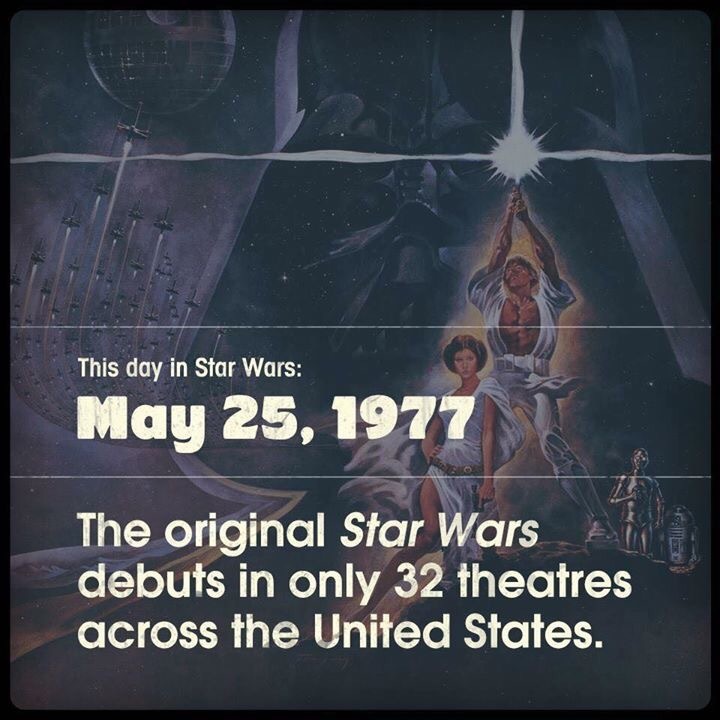 Today is the 40th Anniversary of when Star Wars, now known as Star Wars: A New Hope, was first released in theaters on May 25, 1977. To mark this anniversary, I asked fans from around the world what their memories of watching this film as it was released in 1977. The purpose of collecting these stories is to not only reminisce about all these experiences, but to also give those who were not around in 1977 an idea of how monumental this film was when it was first released. I hope you enjoy reading these stories as much as I did! Pauline Baird Jones recalls that she was a thousand (okay six) months pregnant when the film came out. It was not until the end of the 1977, after the birth of her daughter, that she saw the film with her husband and her daughter, who slept in a carrier on the floor through the whole thing because they didn’t know anyone who could babysit. Carol Van Natta was staying with generous friends because she just had out-patient surgery the day before and wasn’t supposed to be alone for the weekend. Carol wasn’t supposed to stand or walk more than 5 minutes at a time. As the Best Surprise Ever, her friends stood in line for four hours, then bundled her into their car to see Star Wars. They drove me to the front of the theater right before the doors opened. They hustled me in like I was a visiting VIP. I will always associate that movie with the love and kindness of friends. Jayne Fury was a freshman in high school. She went with her best friend to see the first showing of Star Wars. There were lines then, but nothing like the ones that followed. Jayne gobbled every magazine that covered the movie and saw the movie 13 times in it’s first run. Catherine Cerveny was 5 years old when she first saw Star Wars in 1977 in Peterborough, Ontario, Canada. Her dad wanted to see it and took both herself and her brother, who was 3, to the local drive-in theater. Imagine being only 5 and seeing Star Wars for the first time. Needless to say that movie defined my love of the science fiction genre for the rest of my life. SciFi Romance author Terry Roy was 17 and a college freshman in New Jersey where she lived at the time. Her brother took her to see it after he’d already seen it three times. 😀 Terry grew up reading mostly HIS books of SciFi and Fantasy and if not for him would have never gotten into the genre let alone see Star Wars in the theaters in 1977. 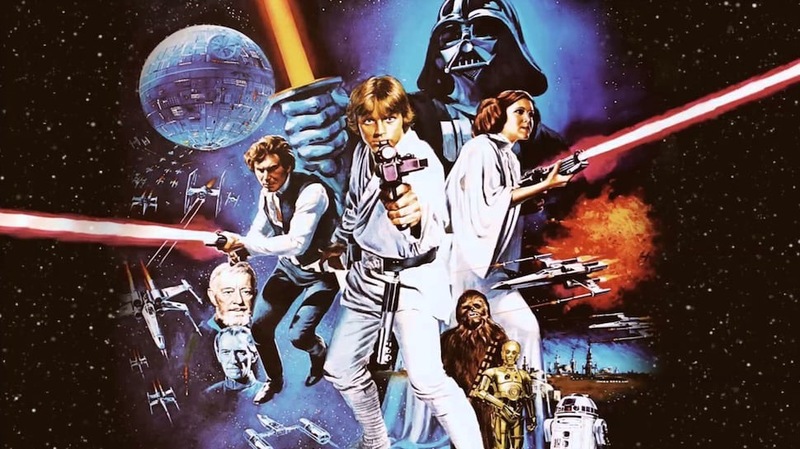 Podcaster Michael Ehmcke saw Star Wars at a Double feature at a drive in theater in SW Kentucky. Star Wars was both the first and the second movie that night. Michael recalls that his brother fell asleep during the second viewing. However, he was so fascinated that he had to stay and watch it again! Garrett Sessions saw Star Wars at the movie theater near LSU in Baton Rouge, LA. I have more impressions than memories of what the inside of the theater looked like, but it was a huge room (to a five year old) with lights in the ceiling and red wallpaper. Then my mind was blown: the music, the adventure, the aliens and especially the lightsabers all left a powerful impression. Sarah Cole saw it, somewhat reluctantly, with her father and younger brother. However, this changed when the trumpet blast shifted space and time to a galaxy far, far away that felt just like coming home. Patrick Izzio was 2 in 1977 and it is probably the earliest memory that he has. My life was forever changed that day and now my son saw it when he was 6 so the tradition and the lifestyle is being passed on. Bill Madia was 13 years old and was dropped off at the theater to see Star Wars with both his brother and two brothers from a family friend. We even brought our own popcorn! (Back then, you could do that!) We got our seats down in the fourth row right in the center. No one was in front of us. This was in the suburbs of Chicago back int the late ’70’s which weren’t as populated as they are now so the crowd wasn’t capacity yet. Anyway, the rows in front of us were empty until a couple kids younger than us went to sit in those rows. My brother was the oldest, 14, so he said that those seats were reserved. “Really?” the kids said. “Yeah, a group of film critics are coming in,” is what we told them. Aaahh, to be a kid again! They found seats behind us and we had an unobstructed view of the entire film!!! Like I said, at the time, in the ‘burbs, word of mouth hadn’t hit yet about the film, so it wasn’t a packed house that day. Every viewing after that, however…. Oh, well. That’s my little story. Kai Charles saw Star Wars a few days before her birthday in ’77. It changed my life. For the rest of the summer I walked their weekly to see it. Many times alone since my friends got sick of it after the third time. I’m convinced that watching the Death Star explode over and over while sitting front row center is why I needed glasses the following Fall! It was so worth it! My dad took me to McDonalds before we went to the movie…it’s in the same strip plaza as the theater (still is, and the theater is still there). We ate and I RAN to the theater (I had to wait for him to get there to get the tickets). There were only a few people in line…there was no big premiere (no one knew how big this would be)….when the movie started, I think the theater was only about half full. Cue the lights and the movie started….we read the crawl and settled in for the movie. 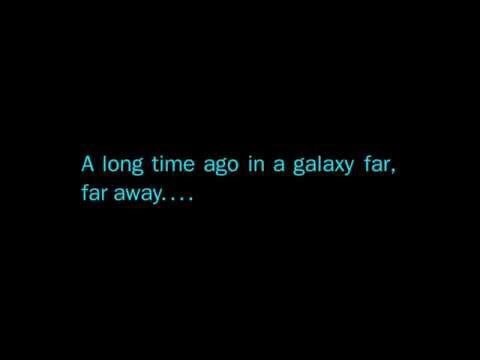 And when the star destroyer flew overhead and filled that theater with stereo speaker rumbles, I turned to my dad and said…. “This is going to be good”. I’ve been a fan ever since. It’s amusing to think about now, but the scenes that are the most vivid in my memory were the ones which included (what a 7 year old might consider to be) dark or grisly elements: Uncle Owen and Aunt Beru’s fate, Ponda Boba’s arm on the floor of the cantina. Vader’s interrogation droid. For a child who had only watched G-rated Disney movies and was raised in a strict, sheltered religious home, Star Wars seemed like adult entertainment. I was in shock and awe before, during and after. 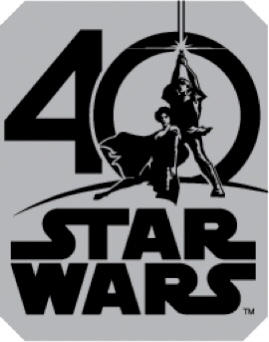 I am surprised that we are still talking about this amazing film 40 years later!